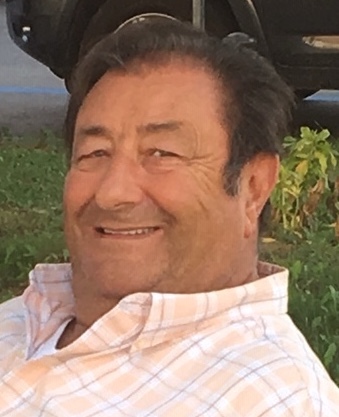 TUCCIARONE, Pietro “Pete”, age 72, of Hampton Twp., on Feb. 10, 2019. Husband of Mary Magazzine Tucciarone. Father of Enrico Gregory (Kristen) Tucciarone, Peter Joseph (Heidi) Tucciarone, and Dana Marie (Matthew) Schenle. Son of the late Enrico and Mafalda Tucciarone. Brother of Giacinto (Nancy) and Mario (Francesca) Tucciarone. Grandfather of Mia Marie, Isabella Donna, Nicholas Pietro, Evangeline Lynn, and Kendall Marie. Step-father of Angela Fitzgerald (John), Nicholas Hudak (Laura), and Matthew Hudak (Sara). Step-grandfather of Johnny, Brendan, Keira, Evan, Dominic, Ryan, Aaron, Benjamin, and Christopher. Pietro was born in Minturno, Italy where he returned to visit often. At age 19 he came to Pittsburgh where he began working as a landscaper. Years later he realized his dream of opening his own business, Tucci Lawn and Garden Center. Known to many as Papa Tucc, he spent his retirement enjoying time with his wife Mary, woodworking, growing fig trees, and enjoying his many grandkids splashing (way to much) in his pool. His strength and many talents will be missed. Visitation Wed. 2-4 and 6-8 PM at Neely Funeral Home, 2208 Mt. Royal Blvd., Glenshaw. Blessing Service Thurs. 11:30 AM at the funeral home.